The Treasury secretary partly blames the Obama-era Volcker Rule for big swings in stocks. But prices aren’t as choppy as 2009, before the prop-trading ban was adopted. And the rule barely affected equities trading. It’s the policies of Mnuchin’s volatile boss fanning the flames. U.S. Treasury Secretary Steve Mnuchin (R) and National Security Adviser Lt. Gen. H.R. McMaster hold a news briefing at the White House in Washington, U.S., to announce sanctions against Venezuela, August 25, 2017. 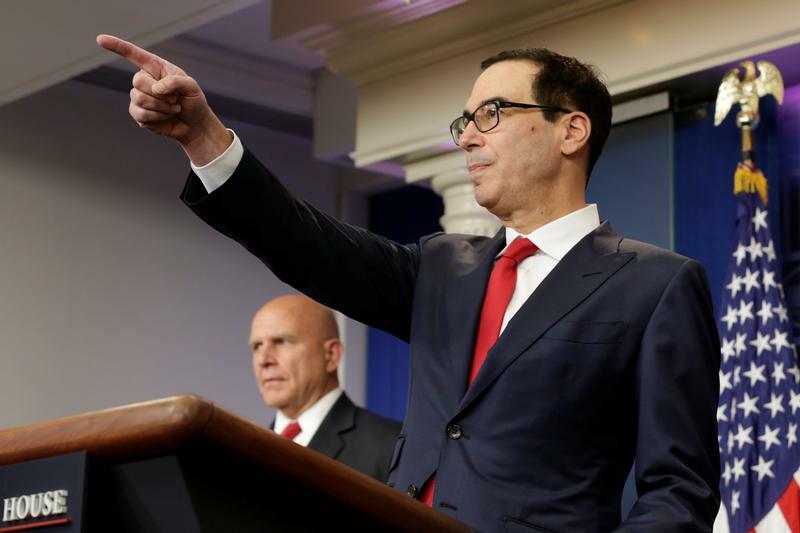 Treasury Secretary Steven Mnuchin said on Dec. 18 that he would ask the Financial Stability Oversight Council, which he chairs, to study stock-market structure and volatility, Bloomberg reported. “In my opinion, market structure has led to a lot more volatility,” he said. “Part of this is a combination of the market presence of high-frequency traders combined with the Volcker Rule.” That regulation, adopted as part of the post-crisis Dodd-Frank reforms, bars proprietary trading by investment banks.